2016 New Year, New You Challenge Results! Challenge, you all did an awesome job! "I liked the exercise classes and the people and atmosphere. I liked the food coaching and the added information to focus on each week. I liked the weigh-ins and food diary for accountability. Those are all the things I need to stay focused." 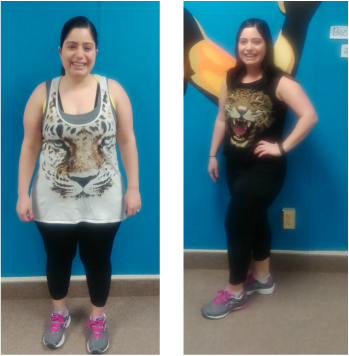 "I liked our nutrition talks and getting the measurements and all the info every four weeks."